The Nike "What The" series has been one of the brand&apos;s most sought after colorways year after year, no matter what the shoe. The ultra sneaker mash up often leaves buyers in a bind as it&apos;s nearly impossible to find matching clothes, but fear not, Nike realizes the problem and is here to help. 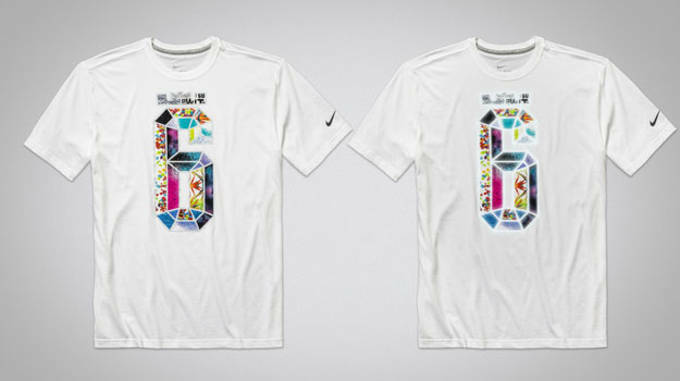 For the first time ever, Nike is issuing two T-shirts that will release alongside the LeBron 11 and KD VI "What The" shoes so you don&apos;t look like a fool. The KD VI "What The KD" T-shirt incorporates 35 graphics and colors and previously released Durant colorways. 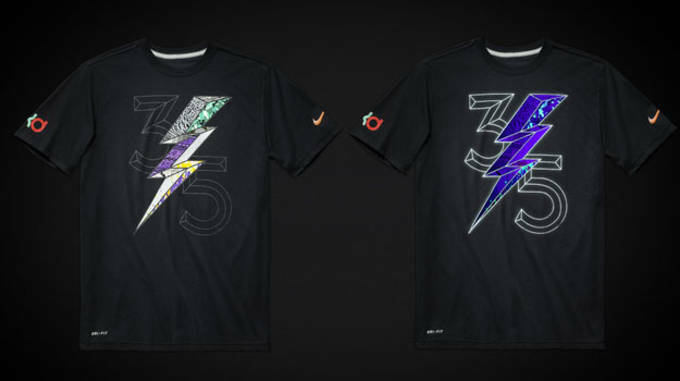 Nike makes the shirt pop by adding in reflective elements along the block "35" graphic, KD logo on the back and pieces of the thunder bolt. The LeBron 11 "What the LeBron" shirt emcompasses eight product designs as well as 20 different graphics and colors from previous editions of King James line. Same as the KD, the LeBron shirt features reflective material along the block "6" graphic and logo on the back. The KD "What The" shirt is currently available at Nike, while the LeBron shirt will be available when the shoe makes it&apos;s way to the US following a European release tomorrow, June 14.